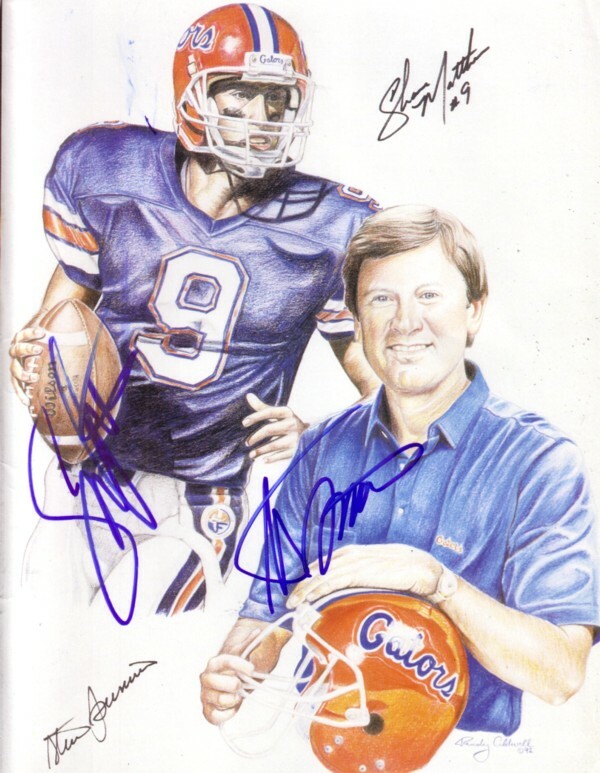 Beckett Future Stars magazine inside cover artwork of former Florida Gators greats Steve Spurrier and Shane Matthews, autographed by both in blue marker. ONLY ONE AVAILABLE FOR SALE. With certificate of authenticity from AutographsForSale.com.